Me, I became aware of Happy Melly after reading the book Management 3.0: Leading Agile Developers, Developing Agile Leaders. I followed a few different breadcrumbs: from the online resources on the “hub” or by noticing Melly’s smiling face on blog posts. Something resonated. 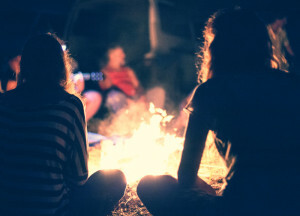 At Happy Melly, I found a community that gathers around a common set of core values and principles (and a dedication to helping people finding happiness at work) kind of like nomads around a friendly campfire. These paths led me to podcasts to listen to (e.g., virtualnotdistant.com and collaborationsuperpowers.com ), workshops to participate in, “games” to play at work. And most of all relationships to build and nurture. New friends and colleagues, locally and globally, … and greater happiness at work.